BRAND NEW Upper Door Window Frame for 66-77 Early Ford Broncos. Passenger Side. This is an excellent reproduction of the original Early Bronco Door Window Frame. These window frames bolt in to the lower door for easy installation and removal just like the original 66-68 Bronco window frames did. 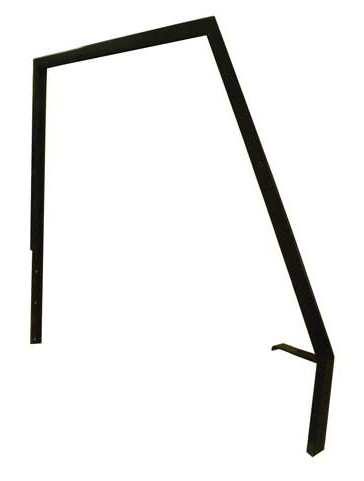 These door window frames can also be used on 69-77 Ford Broncos but will require welding and modification as the 69-77 version is designed to be welded to the door shell.